This year’s E3 was insane. It was like a bevvy of granted wishes sprinkled across a schedule of well presented conferences, with very little to actually mock. We got The Last Guardian, the long hoped for Final Fantasy VII Remake, and even an awesome new Metal Gear Solid V trailer. If you want a one-hour rundown of the magic of E3 make sure to check out the latest Bancast where we did exactly that. What was your favorite part of this year’s E3? 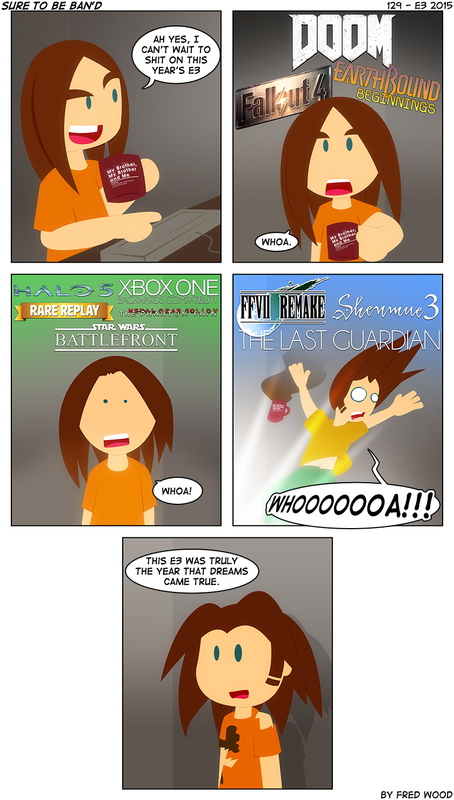 If only Half-Life 3 was confirmed. Doom 3 Trailer and Xbox One BC for the win. I really wish that they would do BC back to Xbox Original as I call it. I’ve been saying for years that there is absolutely no reason, even considering design changes, why the original makers of the XBox/Xbox 360 and PS1/PS2/PS3 could not do backwards compatibility on new consoles, other than they just wanted to stuff remakes of the games down our throats at 20 bucks per.